My name is CHIMEX, Welcome to my blog. 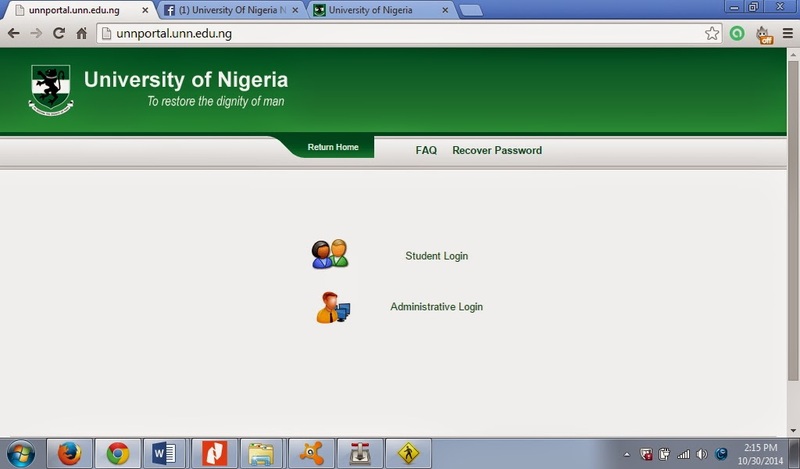 My main aim of writing this is to enable UNN new students and returning students to make use of the new student portal effectively. 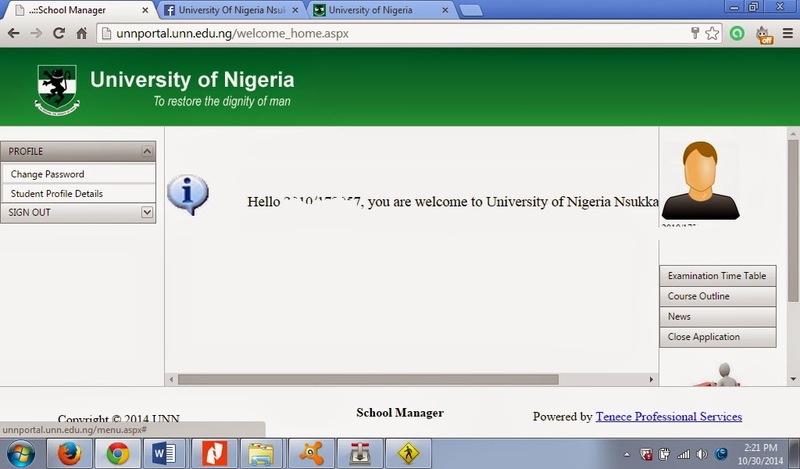 First of all, The new student portal is WWW.UNNPORTAL.UNN.EDU.NG I wrote it in capital letter so that you will not forget The site www.unnportal.edu.ng is SCAM. 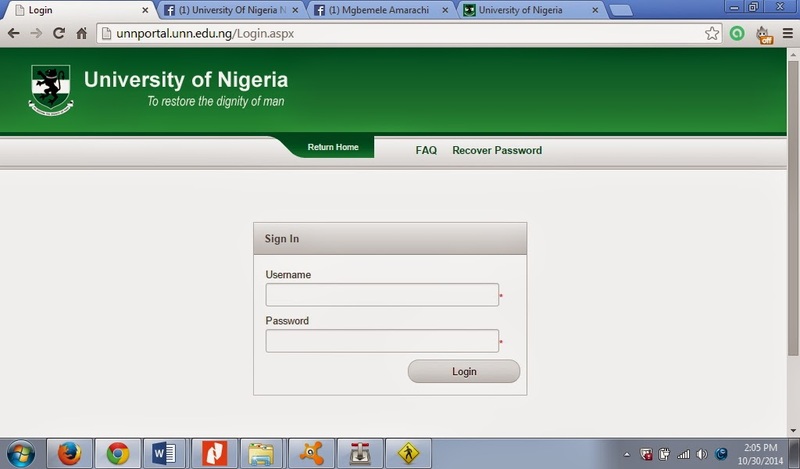 Its not an official website for UNN. 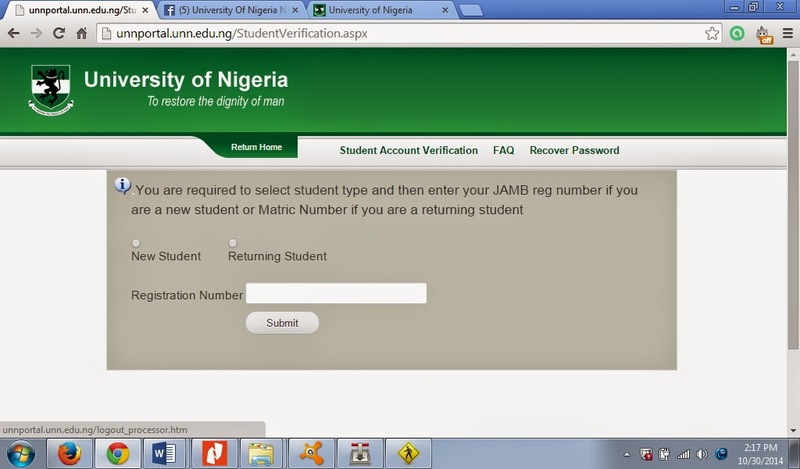 Click on PROFILE onn the left side of the portal and update all your information including uploading your passport. If you are good in picture editing, you can lift your passport from the former portal as well. 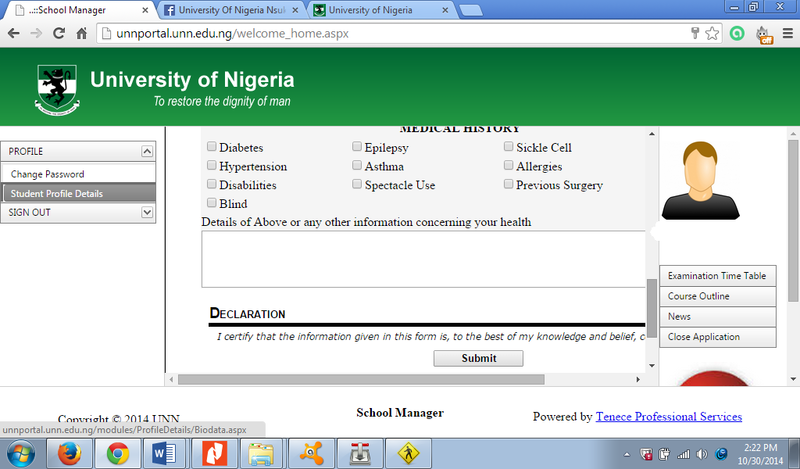 After filling all your details in the profile update, Click Submit at the end of the page. 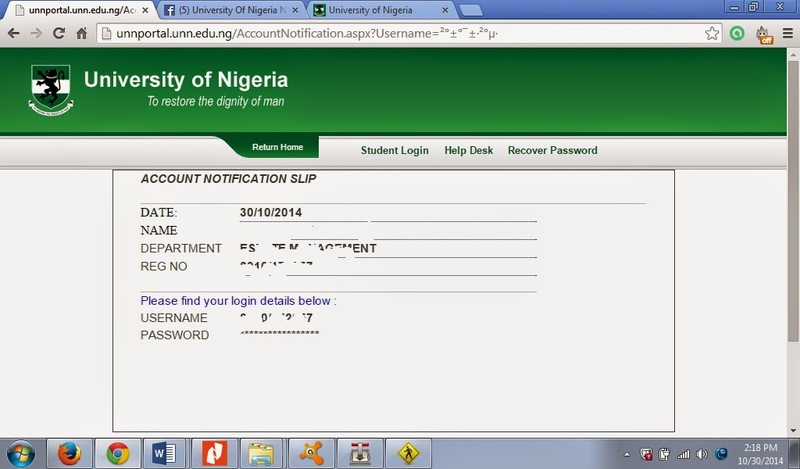 If you dont update your profile where you will generate invoice will not appear. Dont forget to upload your passport. You can see from the picture above that the profile is complete. Looking at the left hand side, you will see where to generate invoice is now appearing, Thats when you must have finished updating your profile. 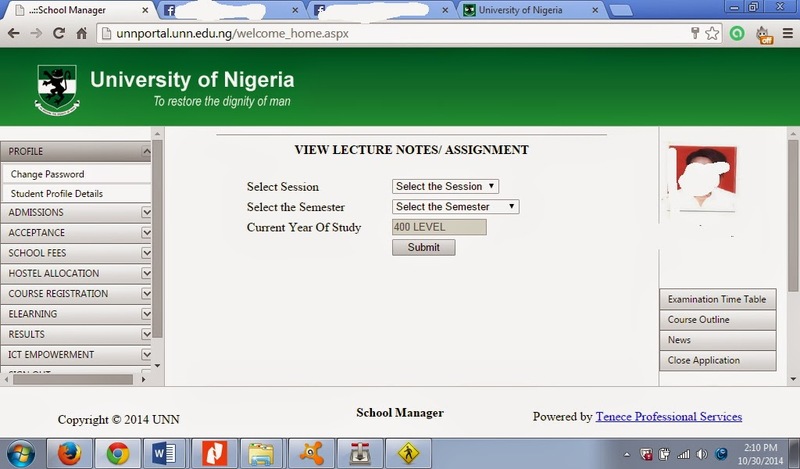 In the next post,i will show you how to generate invoice and pay school fees onn the new portal. 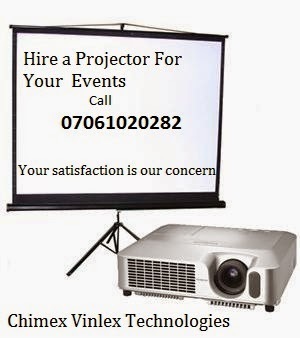 Feel free to share with your friends to inform them. LIONS AND LIONESSES ROCK!